I love the idea of using your under stair space to create extra space for shelving and storage in your home. It's like magic! Suddenly, you've been given a gift - more space! You need to be creative to come up with shelving and storage ideas that really work and still look stylish. One often neglected area is under your stairs. And it's a huge area that often equates to another room. You could use it for storing bikes, shoes or wine. But often these can look a little junky, temporary and messy. 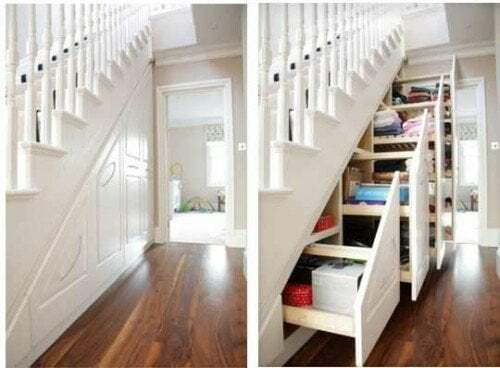 That's why this under stairs storage is so cool... but what if you could do more than just use it for storage? 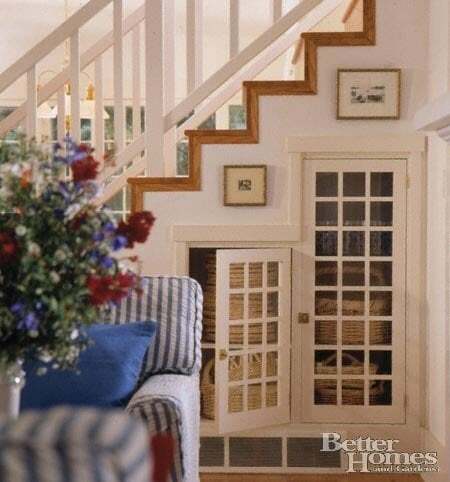 Think about it, under stairs storage can be amazing for displaying your art, creating a child's playroom, wall shelves, a book case, an office, bedroom, pantry storage or walk way. But what about a panic room or somewhere to keep your papers, safe or even a kitchen or bathroom? What about a fireplace or built in television? This could solve so many other issues for you - like security, privacy or a growing family. 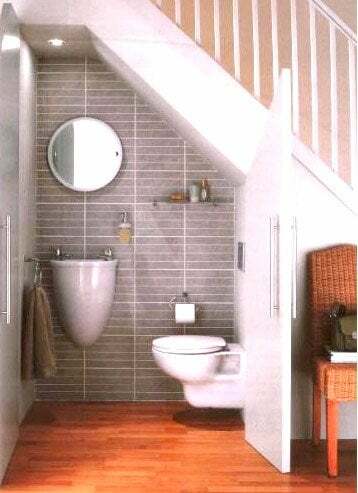 Creating new spaces and trading space for smarter rooms, probably means spending more time and effort in the design stage but would give you better use of your under stair space. 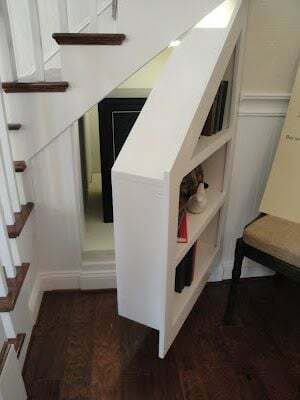 If you can create an under stairs storage area - celebrate it! Don't waste it! 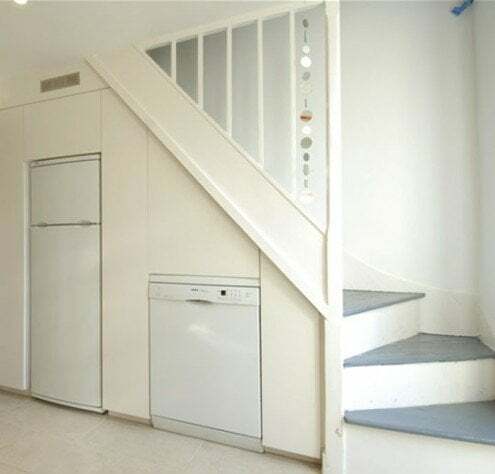 What would you do with your under stairs storage? Would you keep it as a reading nook or create a panic room? 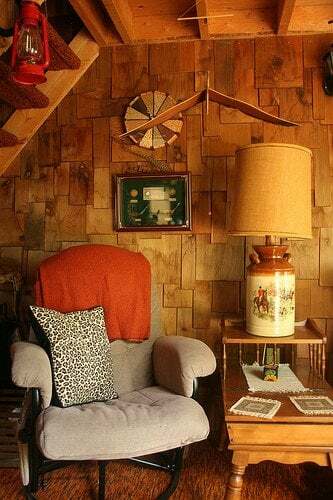 If it transformed under your stairs, where you read or take a bath, I want to hear about it! Got any under stair storage ideas you want to share? Just leave a comment below and we'll get back to you. Join our email list here for more tips, free ideas and cool stuff like our DIY Cheat Sheet. I always look to you for ways to improve our home. This one you missed. Busy homes with children and working parents need this. Our home is the neighborhood hang out. I was running the dishwasher at least 3 times a day.Outdoor playing requires water and lots of water to drink.We added a beautiful porcelain water fountain with stairs included.Saved us money on running dishwasher and lost or broken cups. I sent you an email with our pictures. We are remodeling one of the oldest houses in our town and each room we design as a family and always a touch of modern yet unusual. Windy, that sounds fantastic! I never received the photos... do you mind sending it again?